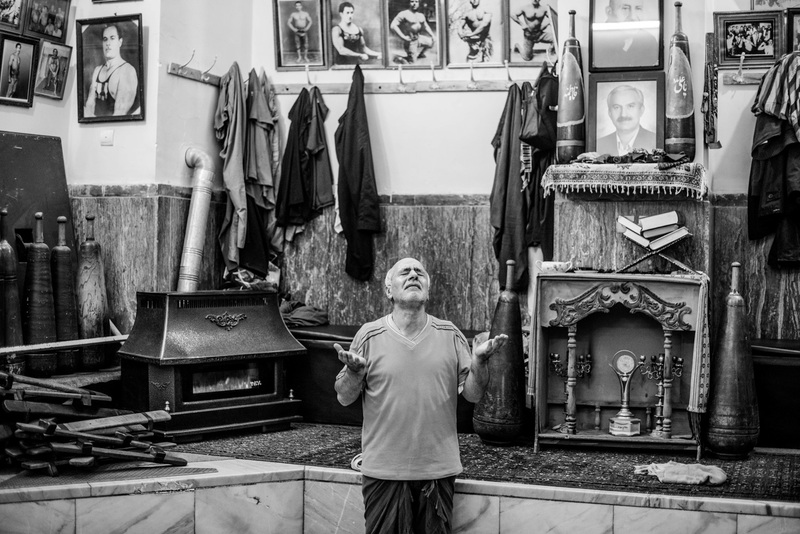 On a winter’s day, I lost my way behind the Grand Bazar of Tehran and eventually found myself in front of the tiny and discrete Talachi Zurkhaneh of Imamzadeh Yahya neighborhood. 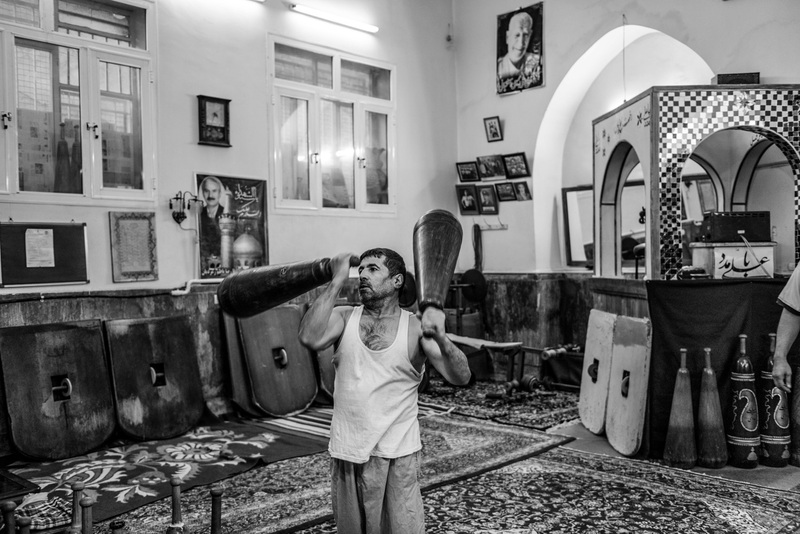 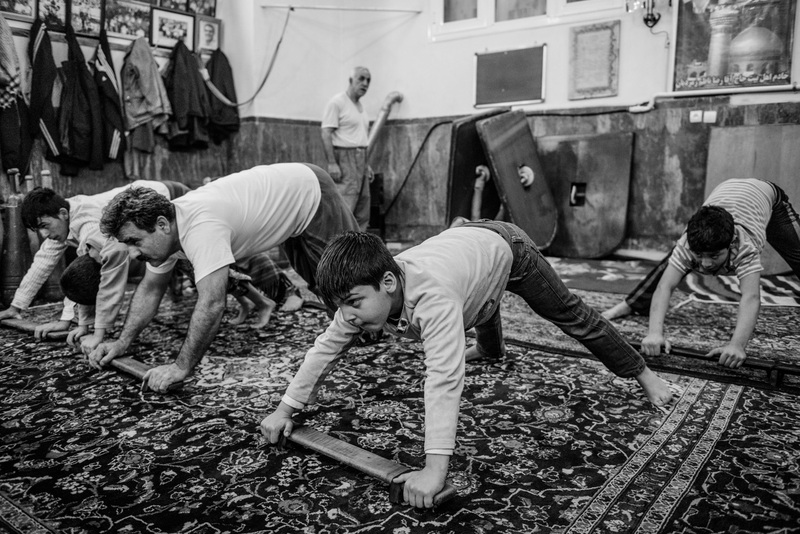 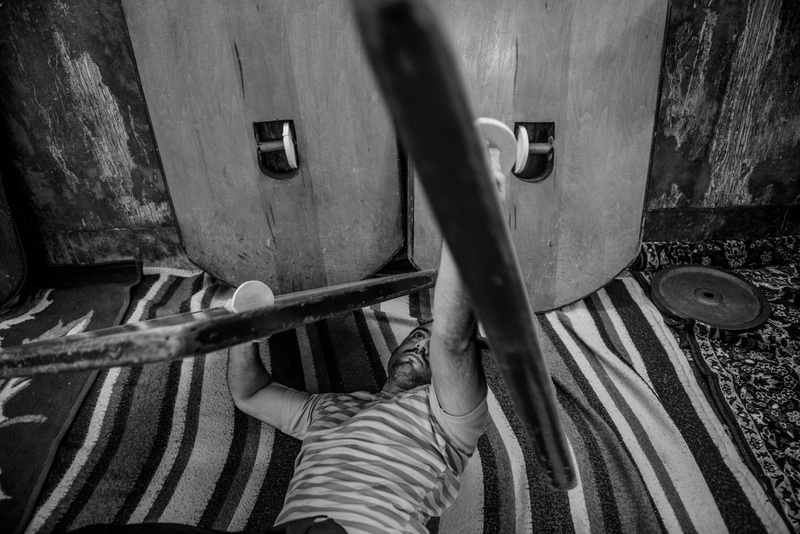 About 500 of these traditional gyms remain in Iran and I was lucky to find this one open. 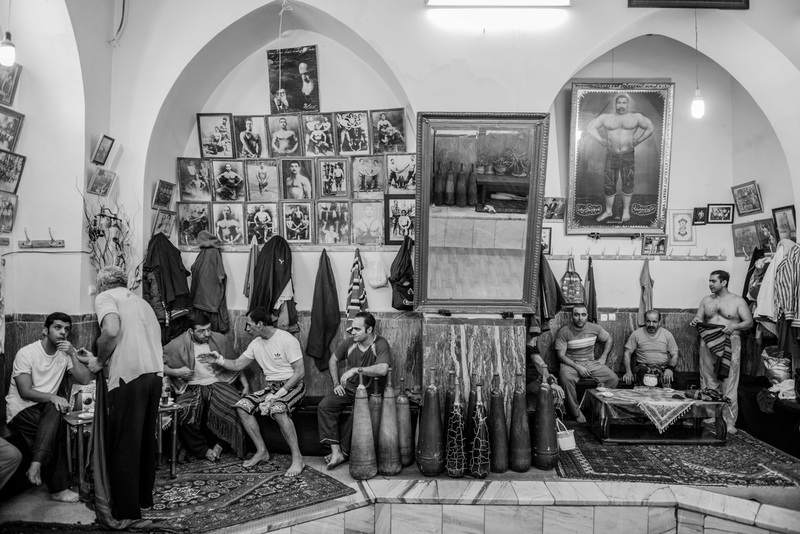 However, such places – exclusively reserved for men – are not always easy to access for foreigners, especially in old and conservative neighborhoods. 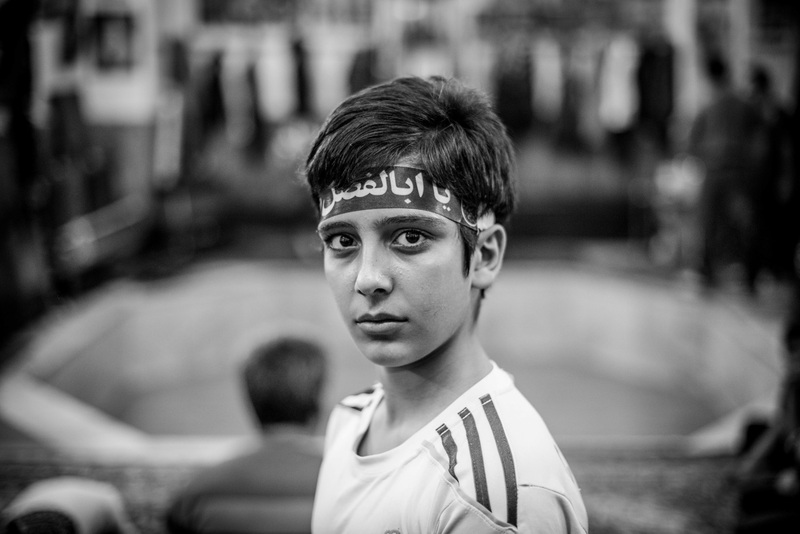 But with the help of an Iranian relation, I was able to approach these people and photograph them. 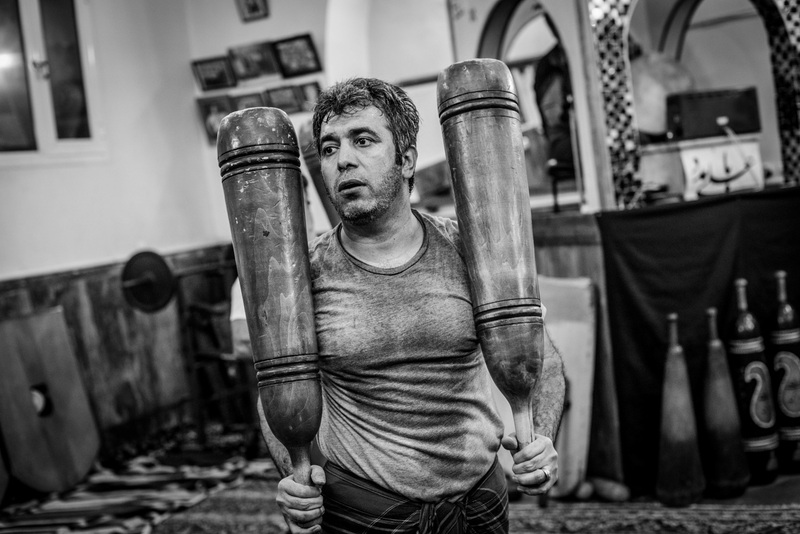 Zurkhaneh are holy places for the athletes practicing Pahlevani, an ancient sport combining bodybuilding, moving skills, music, dramatic art and religious worship. 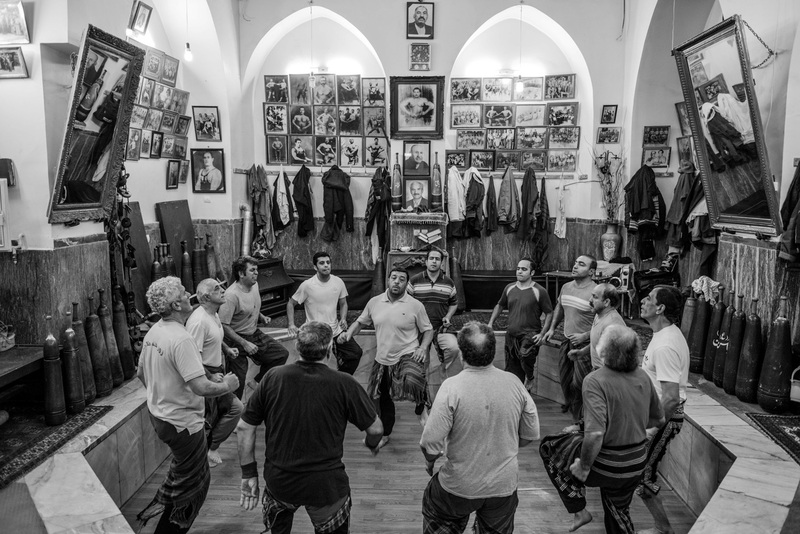 In this centuries-old ritual, men perform rhythmic movements with great passion, using tools that symbolically represent ancient weapons. 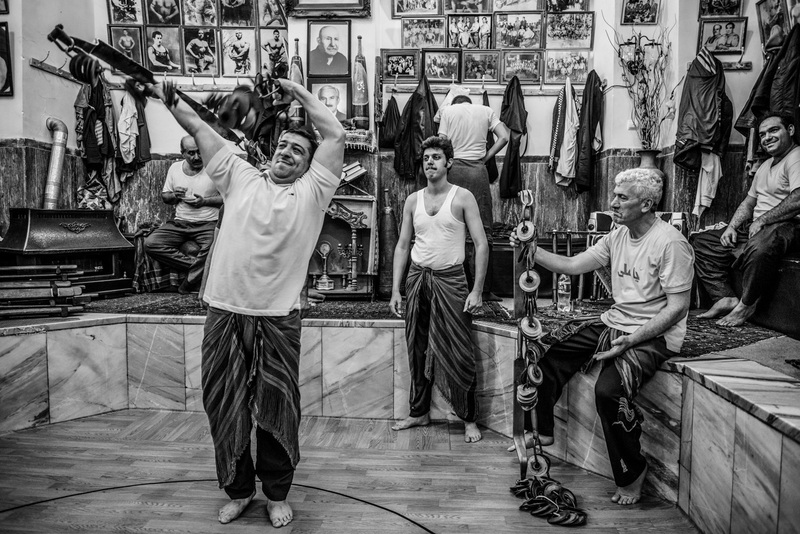 Their strong devotion might seem overemphasized but it’s a fundamental aspect of the Pahlevani ceremonial. 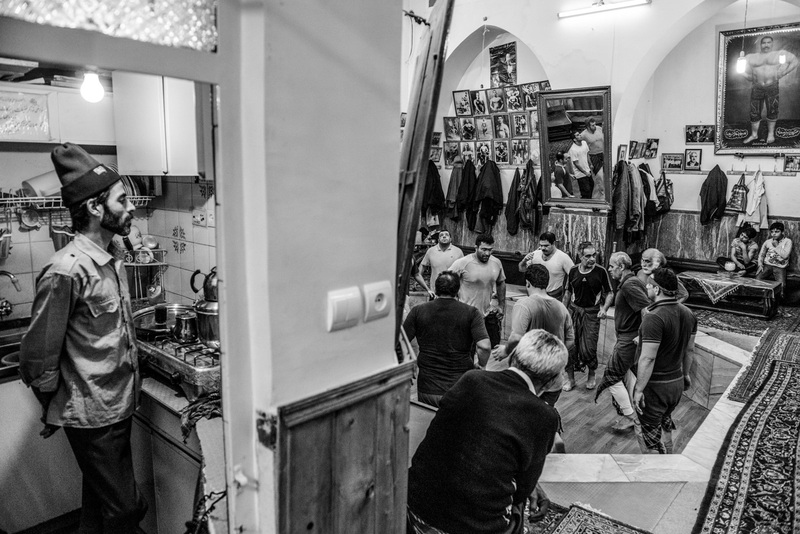 Zurkhaneh also plays a social role for these men; a place to chat politics over tea, religion and soccer. 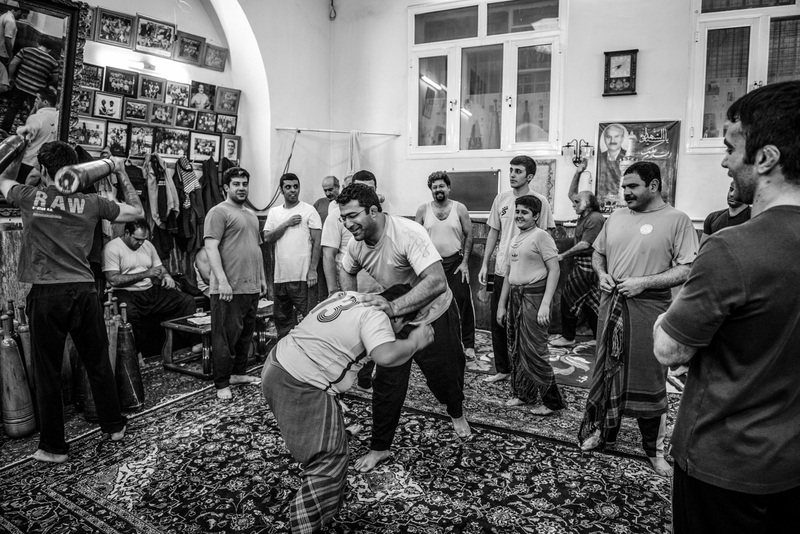 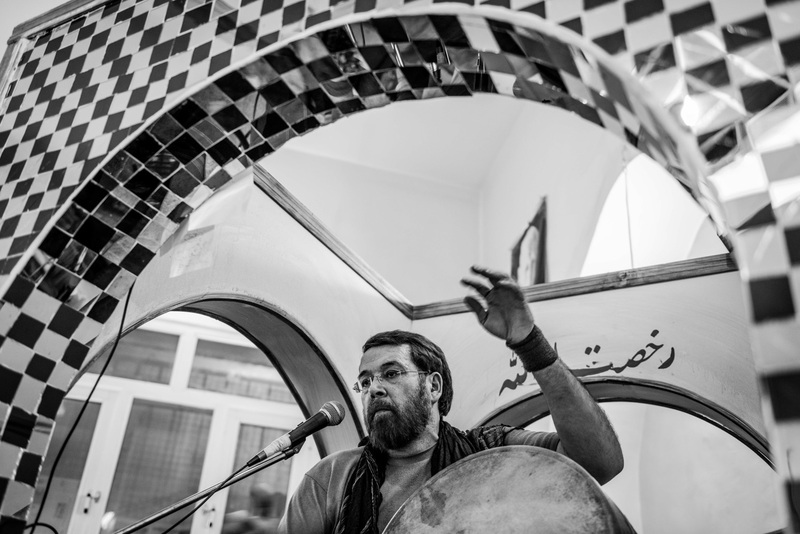 What I discovered in Talachi Zurkhaneh was far more than a theatrical art with wrestling moves. 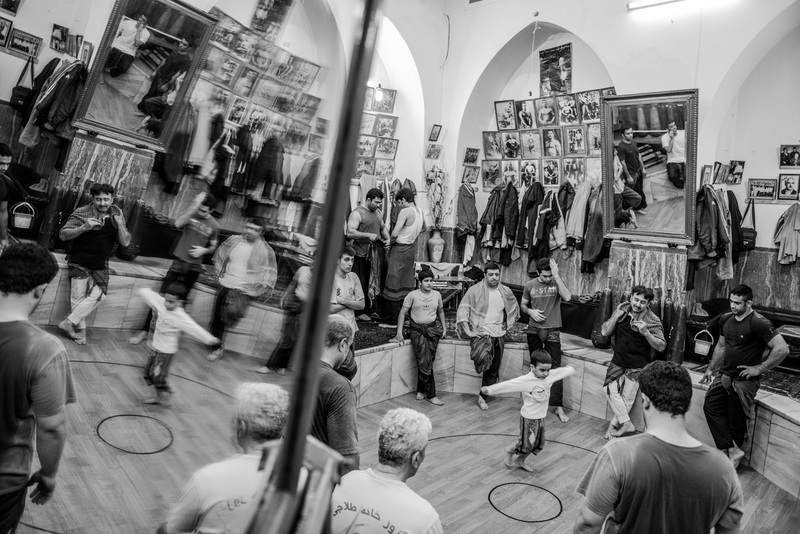 I encountered a group of men perpetuating a sacred heritage that they pass on to future generations. 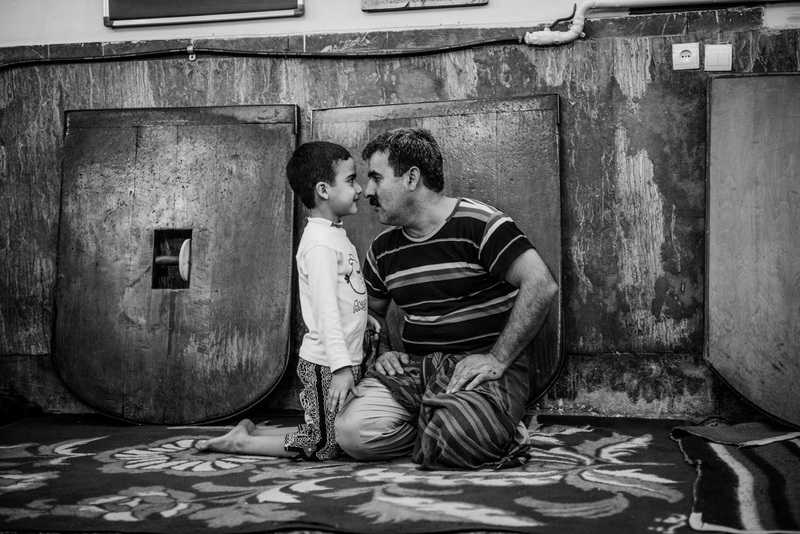 Indeed fathers, as “masters”, transmit skills and manners to their sons as well as essential moral values. 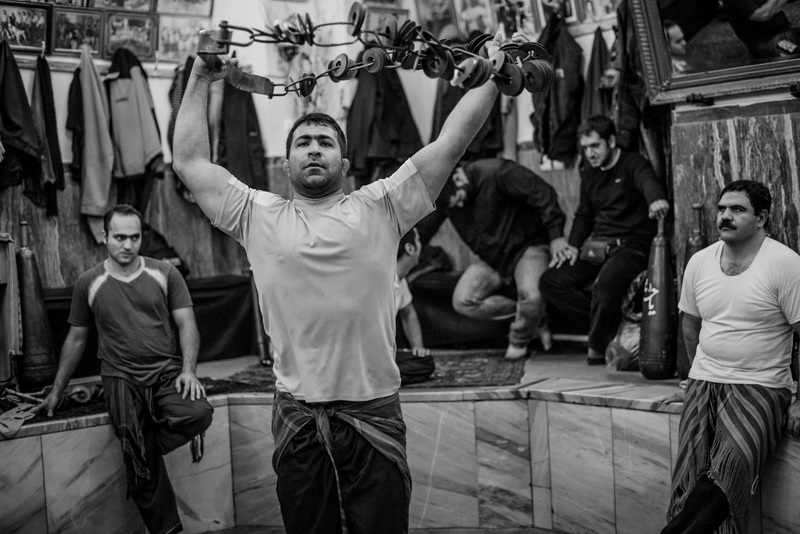 Most of these athletes are simple men living ordinary lives. 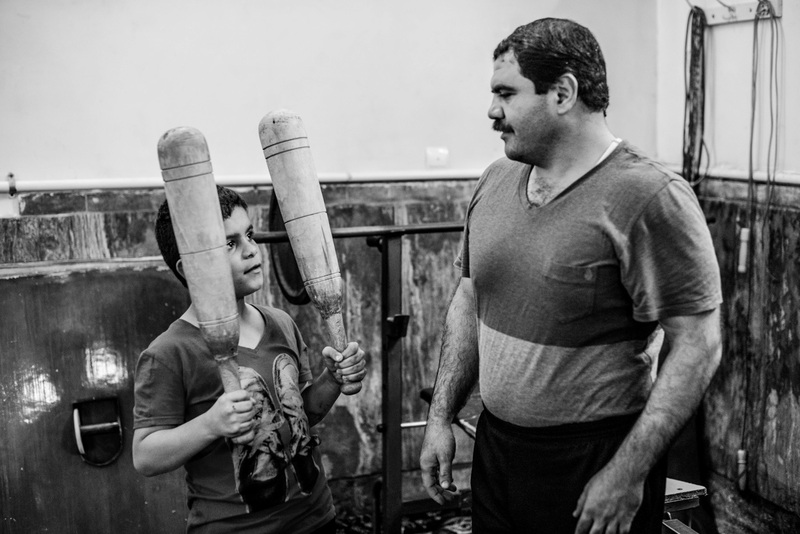 They are postmen, butchers, shopkeepers or taxi drivers. 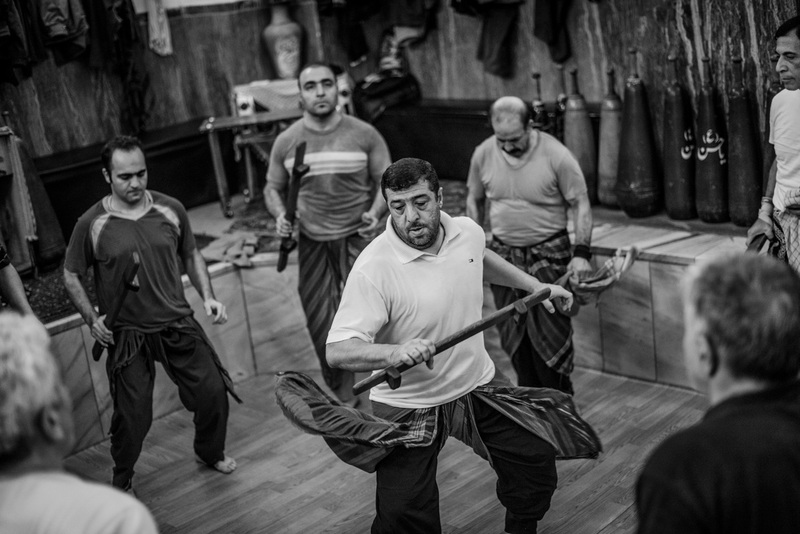 But when they enter a Zurkhaneh, a transformation takes place. 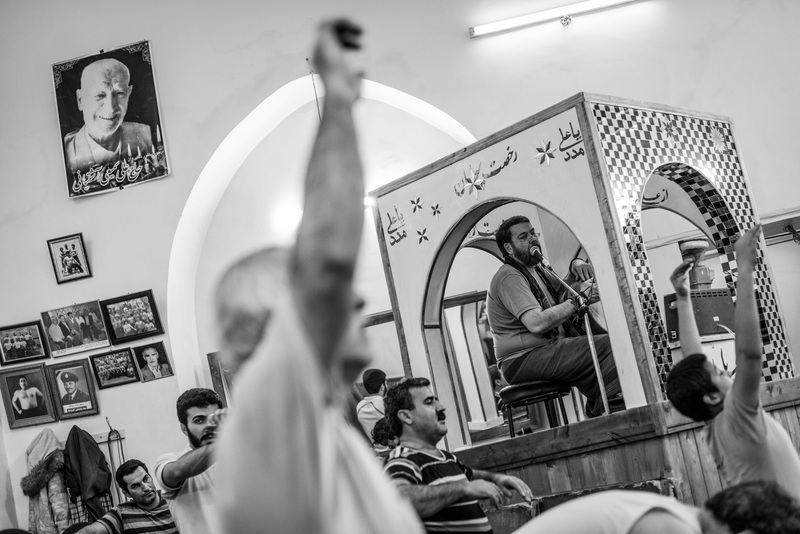 They become fighters, singers, worshipers and poets. 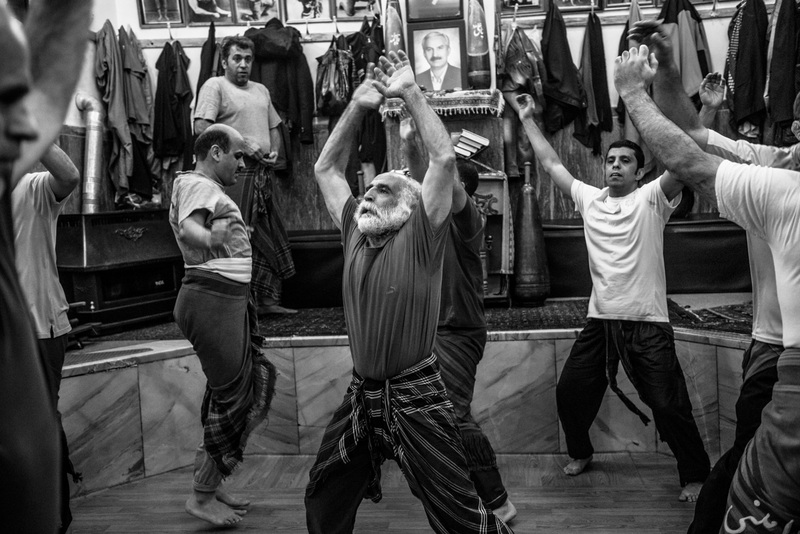 This fascinating metamorphosis can also be seen as an echo of the remaining pre-Islamic culture and its strong legacy in modern Iran.